The Libertines rocker, well known for his brushes with the law over his alcohol and drug-fuelled lifestyle, told the NME he was "on the right track". He said: "You have to reach an all-time low apparently. Before you truly surrender." Asked if he had reached that point, he said: "No, no. I've got a long way to go." Doherty, who recently starred in a film with Charlotte Gainsbourg, said his relationship with the actress fell apart after four days when she followed him to the UK. He said: "I think the lifestyle I was living at the time, she wasn't accustomed to." The singer-songwriter said he had swapped song ideas with fellow Libertine Carl Barat over email and added that he planned to go into rehab "at the end of April". The Libertines, whose hits included Don't Look Back Into The Sun, collapsed in 2004 when Barat lost patience with Doherty's wayward behaviour as he battled drug problems. 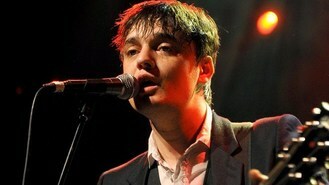 They reunited in 2010 for a series of gigs but have since gone their separate ways, with Doherty now living in Paris.